City Arts & Lectures presents Dani Shapiro, author of Still Writing: The Pleasures and Perils of a Creative Life, and Ayelet Waldman, author of Love and treasure, in conversation with Michael Krasny. “New Life, No Instructions is beautifully written, lucid, and wise. We come of age again and again during the course of our lives, and need those who have traveled the path before us to shine a light, to lend a hand. Caldwell’s story is moving and gripping. I found myself feeling that I had indeed been given a valuable set of instructions for how to proceed with eyes and heart wide open.” Dani Shapiro, author of Devotion and Slow Motion “In Gail Caldwell’s New Life, No Instructions we see a Pultizer Prize winner once again go out and earn the title. It is a meditation on how seemingly faint winds can blow us wildly off course; on how spending time with a beloved animal can benefit our basic humanity; and on what it means to overcome, at middle age, a multitude of blows. It is lyrical and smart and triumphant and you won’t read a more honest memoir in your life.” Darin Strauss, author of Chang and Eng and Half a life Gail Caldwell, the former chief book critic of The Boston Globe, received the Pulitzer Prize for distinguished criticism in 2001. She is the author of two previous books: A Strong West Wind and Let’s Take the Long Way Home. A New York Times bestseller, Let’s Take the Long Way Home was the winner of the New England Independent Booksellers Association award for nonfiction. Caldwell lives in Cambridge, Massachusetts. 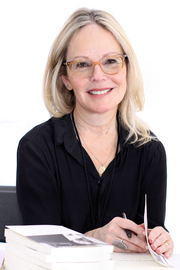 AUTHOR EVENT: Dani Shapiro - "Still Writing: The Pleasures and Perils of a Creative Life"
Still Writing is a witty, heartfelt, and practical look at the exhilarating and challenging process of storytelling. It is not simply a memoir, but also a meditation on the artistic process, with advice on craft, and an intimate and eloquent companion to living a creative life. Through a blend of deeply personal stories about what formed her as a writer, tales from other authors, and a searching look at her own creative process, Shapiro offers her gift to writers everywhere: an elegant guide of hard-won wisdom and advice for staying the course. “The writer’s life requires courage, patience, empathy, openness. It requires the ability to be alone with oneself. Gentle with oneself. To be disciplined, and at the same time, take risks.” Writers—and anyone with an artistic temperament—will find inspiration and comfort in these pages. Offering lessons learned over twenty years of teaching and writing, Shapiro brings her own revealing insights to weave an indispensable almanac for modern writers. Like Anne Lamott’s Bird by Bird, Virginia Woolf’s A Writer’s Diary, and Stephen King’s On Writing, Dani Shapiro’s Still Writing is a lodestar for aspiring scribes. 7PM MONDAY, OCTOBER 14 Dani Shapiro: Still Writing Bestselling memoirist Dani Shapiro (Slow Motion and Devotion) presents her new book Still Writing: The Pleasures and Perils of a Creative Life. Through a blend of the stories of what formed her as a writer, tales from other authors, and a look at her own creative process, Shapiro offers twenty years' worth of hard-won wisdom and advice for staying the course. "The writer's life requires courage, patience, empathy, openness. It requires the ability to be alone with oneself. Gentle with oneself. To be disciplined, and at the same time, take risks." ABOUT THE AUTHOR Dani Shapiro is the bestselling author of the memoirs Devotion and Slow Motion, and five novels including Black & White and Family history. Her work has appeared in The New Yorker, Granta, Tin House, One Story, Elle, Vogue, The New York Times Book Review, The Los Angeles Times, and has been widely anthologized. She has taught in the writing programs at Columbia, NYU, The New School and Wesleyan University, and she is co-founder of the Sirenland Writers Conference in Positano, Italy. She is a contributing editor at Travel + Leisure. Dani Shapiro reads from Devotion: A Memoir. Dani Shapiro is currently considered a "single author." If one or more works are by a distinct, homonymous authors, go ahead and split the author. Dani Shapiro is composed of 2 names. You can examine and separate out names.